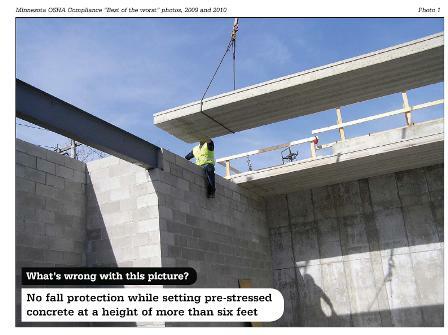 Gravity appears to be the theme in the updated "Best of the Worst" photo gallery from the Minnesota Occupational Safety and Health Administration (MNOSHA). 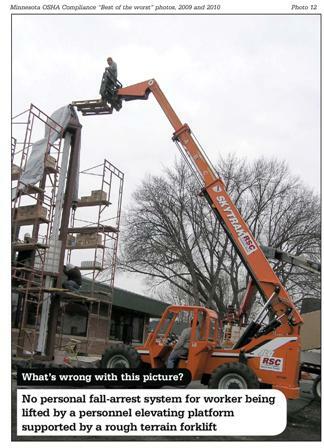 Inspectors take these pictures to document workplace safety violations, and they're typically shared internally at the agency. But MNOSHA now puts a number of them online, minus any information that identifies the employer. 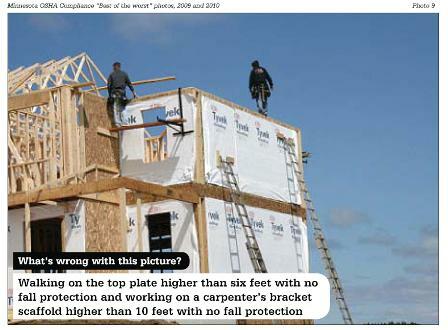 They provide an alarming record of the risks that workers, particularly those in construction, sometimes take. 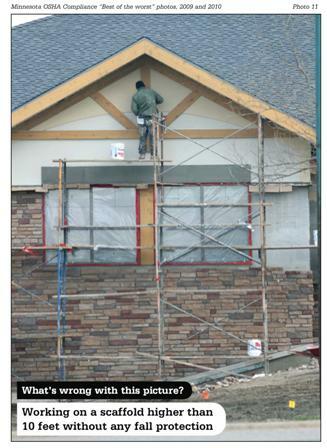 "Falls are one of the top ways people get hurt or killed on the job," says MNOSHA spokesman James Honerman. They're also among the easiest violations to spot from afar. 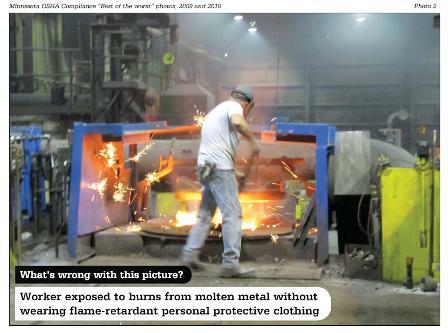 Yet the inspectors didn't just drive away after getting their snapshots. "These are all closed cases," Honerman said. "The hazard that you see was addressed immediately or has been addressed." Go the MNOSHA's photo gallery to see all of the snapshots.